This is How We Did it Back Then! 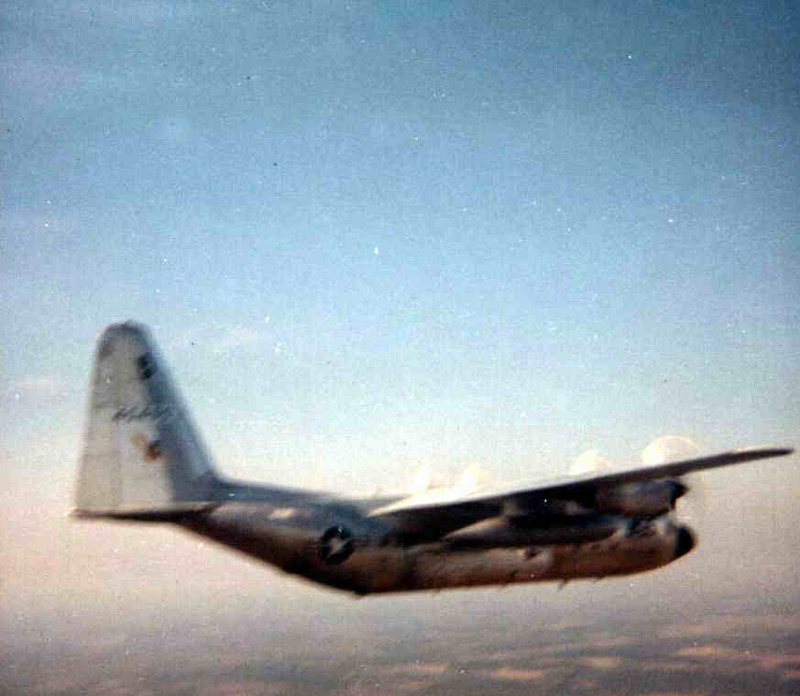 I took these pictures in early 1965 with a little Kodak load and shoot camera. 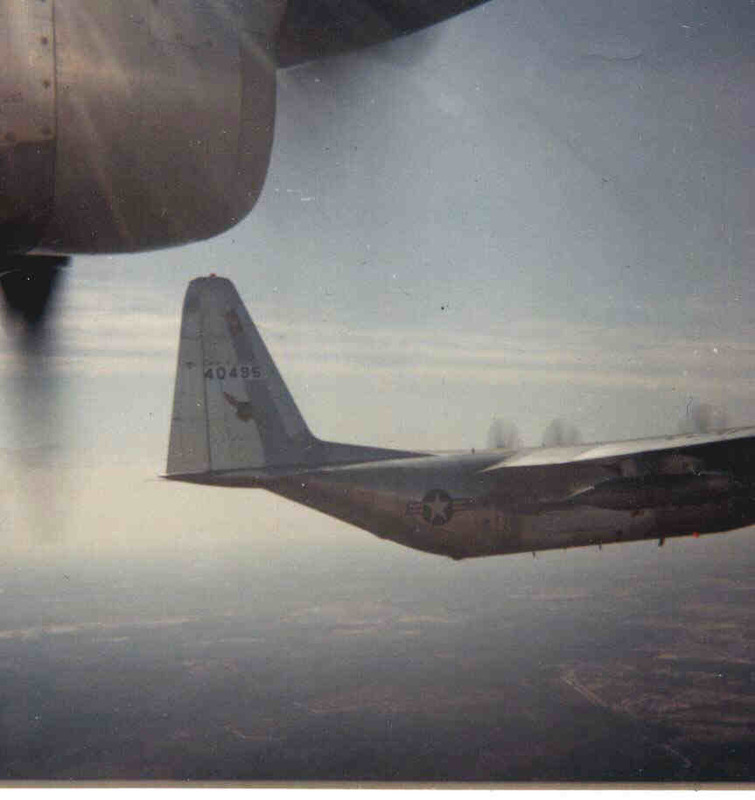 In those days TAC C-130 crews still flew close formation, though it would not be long before the low-level in-trail formation would become the norm. 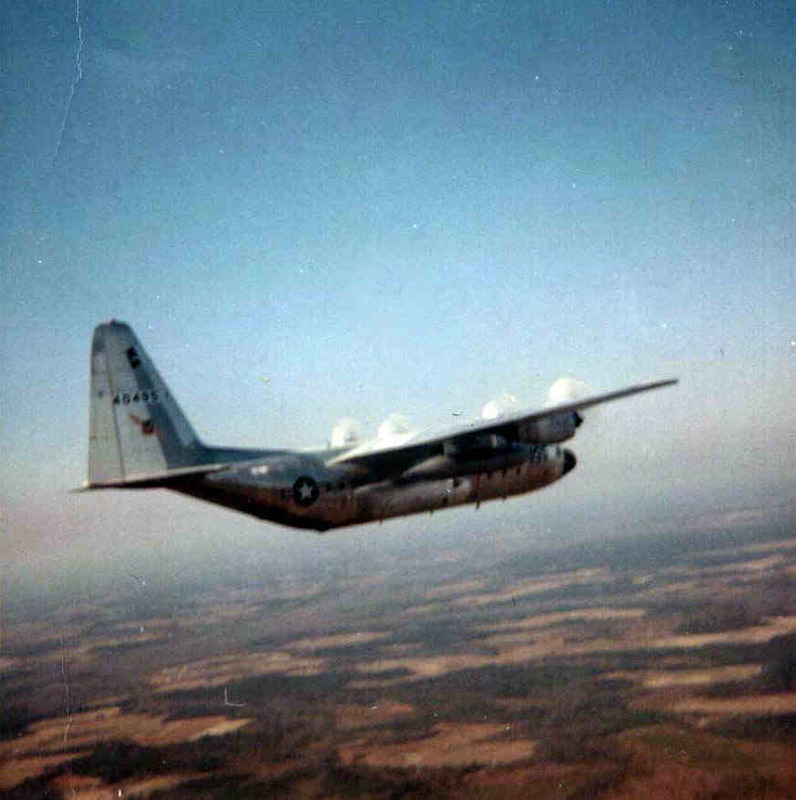 Crews would go out on 5-hour locals that included a low-level training segment followed by an airdrop on one of the DZ's on Fort Bragg, a period of close formation flying. It was a thrill to see a flight of Herks return to the field for landing, as they would come over the airfield in an echelon formation, then "pitch-out" in a 360-degree Overhead Recovery. 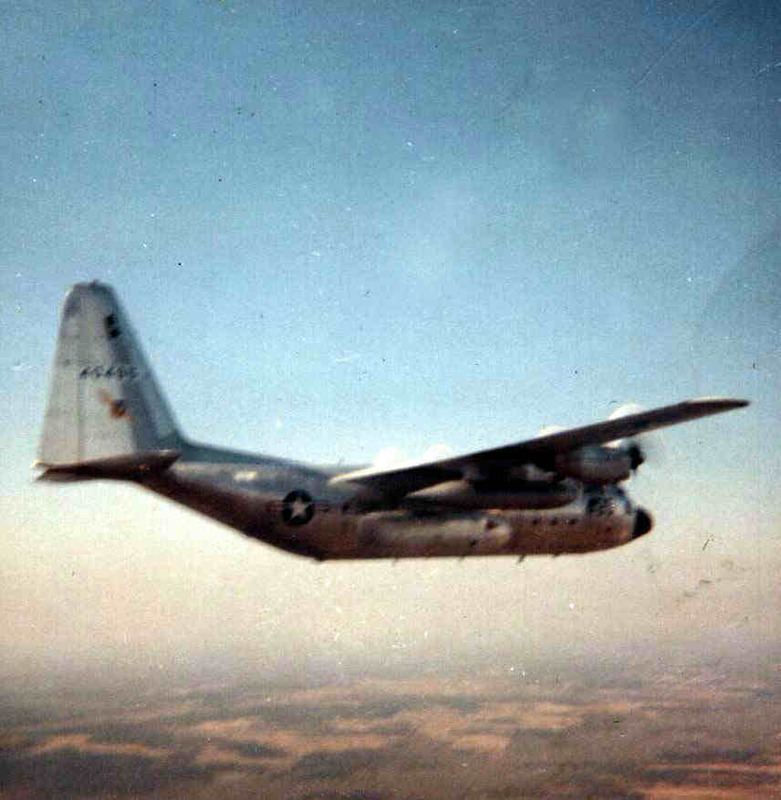 TAC troop carrier pilots flew their airplanes the same way fighter pilots did. 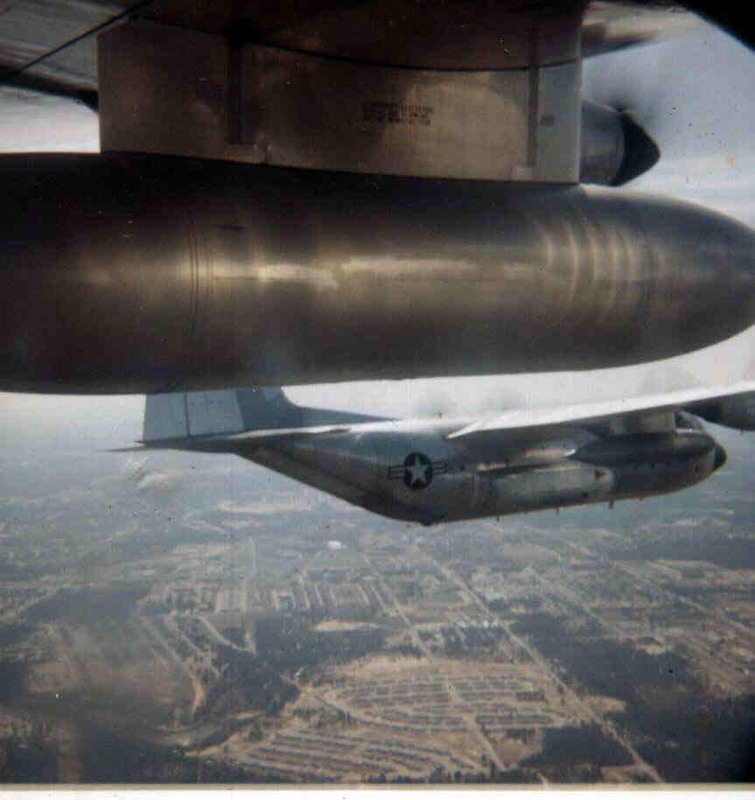 Here we are in formation over Fort Bragg. Close formation was the name of the game! This is me in the barracks after the flight. We USED that spoon that every TAC crewmember carried in his sleeve pocket! The knife was to cut the extraction line if a load hung up. 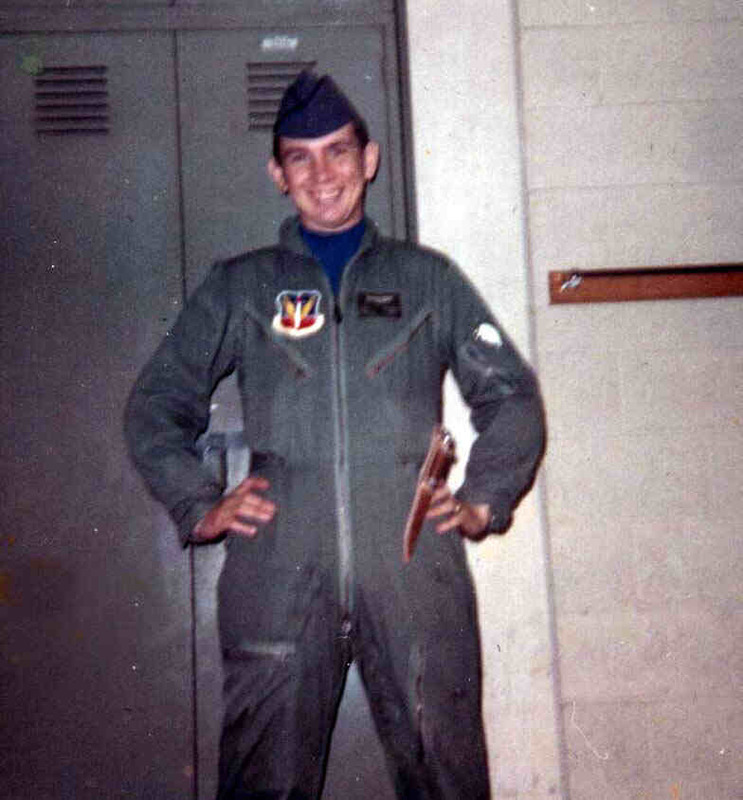 I got the privelege of going behind the load and cutting loose an extraction line at least a half a dozen times during one week's duty dropping specially constructed platforms at the A&E Board which was located across the ramp from our squadron building.